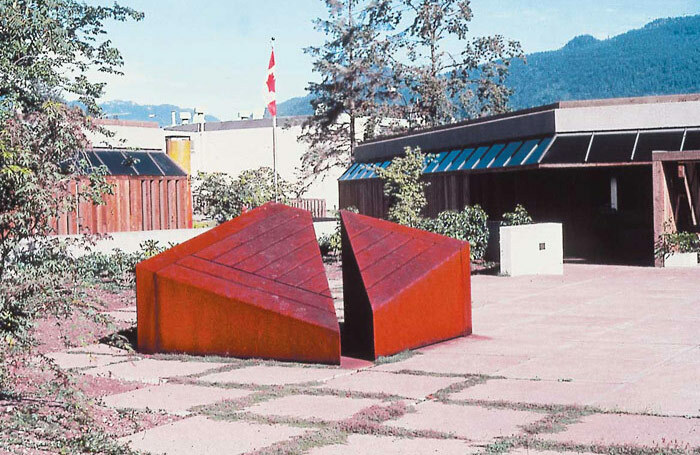 These pieces from the early nineteen-seventies were explorations into the ability of specific forms to suggest illusionary surfaces that continue from the sculpture to the surrounding space. They mostly consisted of three units focused on a single central point or of two units with three divisions and with surfaces divided into rectangular graphic forms. For these individual sculptures Cogswell worked in either local woods, fibreglass and resin, 1/4-inch plate aluminum or 1/4 inch corrosion resistant weathering steel. 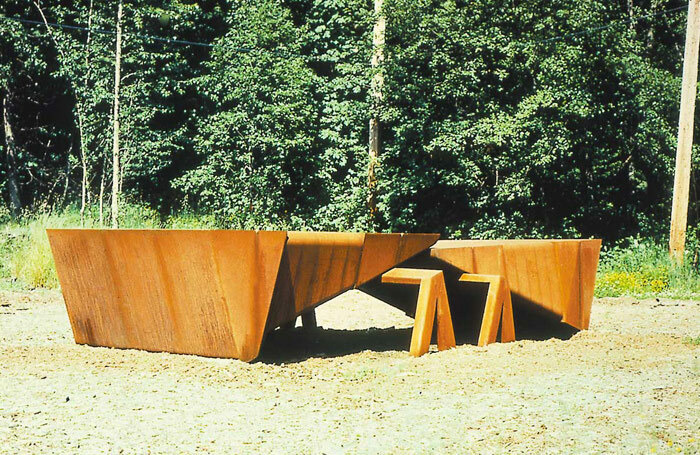 This Cor-ten type steel is very long lasting as the oxide (rust) which forms on the surface protects the steel from further corrosion and is self-healing in terms of surface damage. 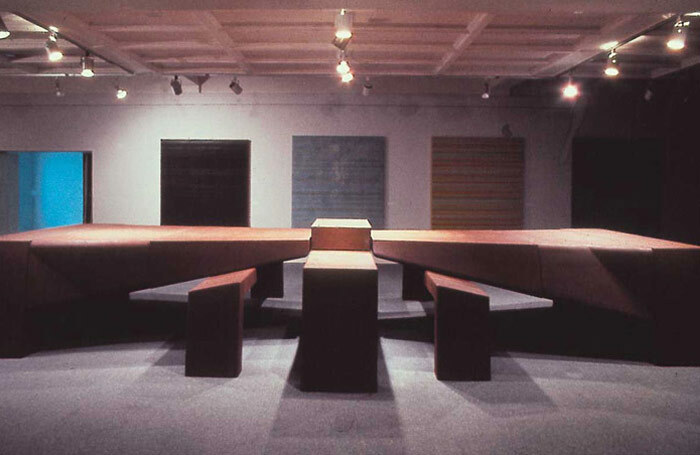 Single Column continued the concerns of the Two Column series, though focusing on a single illusionary spatial structure which is formed off the central block. 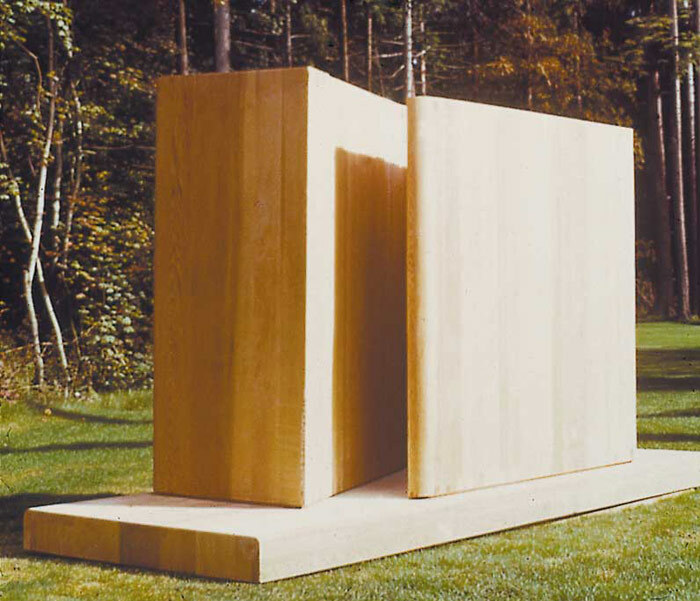 All the other parts of the sculpture are concerned with supporting this column, either physically, or through illusionary spatial planes. 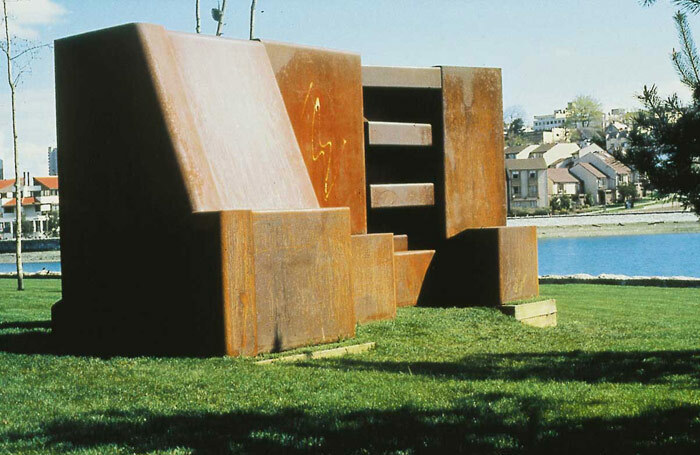 With all the previous sculpture in this group Cogswell had used units of two and three. In this he introduced units of five as well as the single unit. During the design process he realized he had unconsciously been using progressions of two and half degrees as well as ordered numerical progressions in the sizing of the units. These mathematical relationships were the result of only aesthetic considerations and not consciously planned. 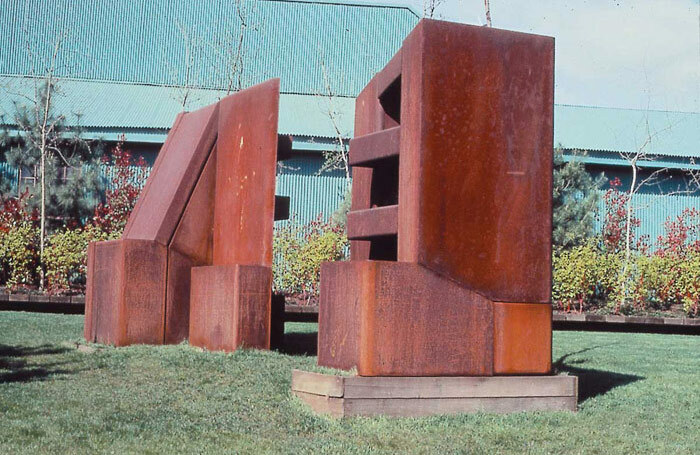 As the names suggest these sculptures were investigations into the ability of the forms to suggest two vertical columns projected by, and supported by, the heavy steel wedges which, in turn, required the support of the strong lower supports. 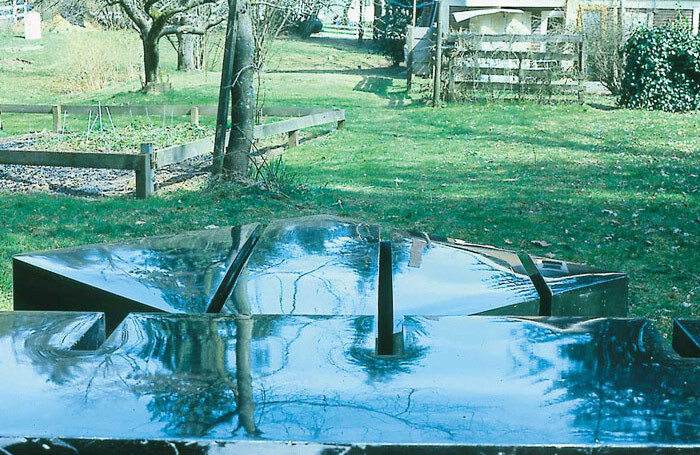 In the commissioned sculpture Integrated Plane Cogswell attempted to develop a single surface that would absorb and reflect the main surrounding natural elements. 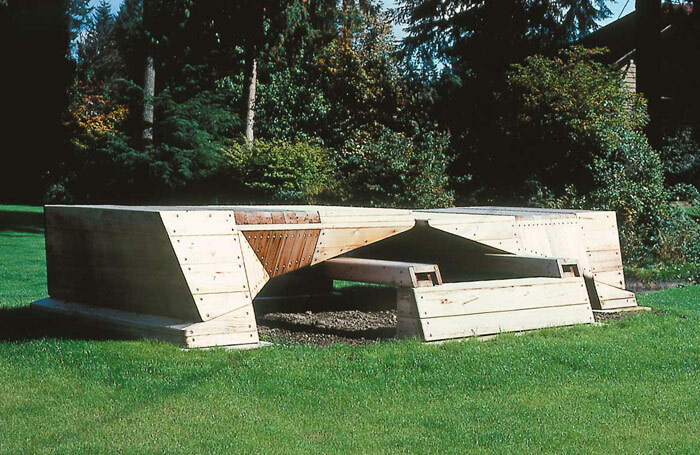 The surface divisions that were used as a graphic element and were to become integral to the later sculptures in the Dolmen Series were necessary for the building process and for the structural integrity of the flat upper surface. Following some early explorations with three identical units positioned far apart, but directed to one spot in space equidistant from all of them thus suggesting parts of the surface of an illusionary sphere, Cogswell investigated the extent to which the flat surfaces of simple forms could be perceived to suggest relationships with other, distant, surfaces. 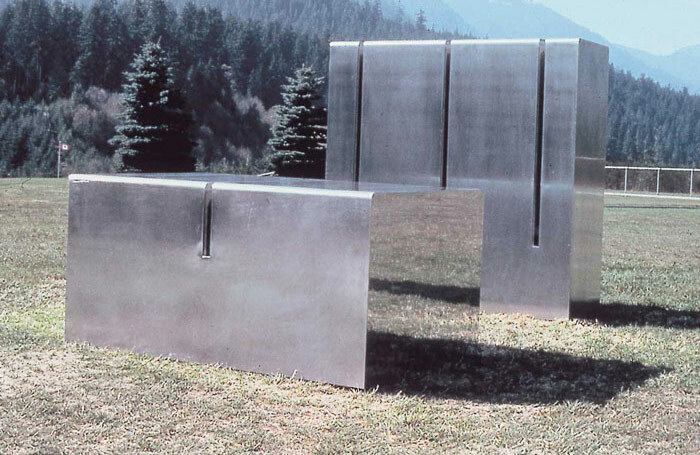 The sculptures Triple Plane 6 & 8 were intended to visually yield to the planes that are created off certain of it’s surfaces and which are considered to create the illusion of forms which continue in space to infinity. The sculptures therefore may be considered the point of creation or a crossroad of these imagined special shapes. 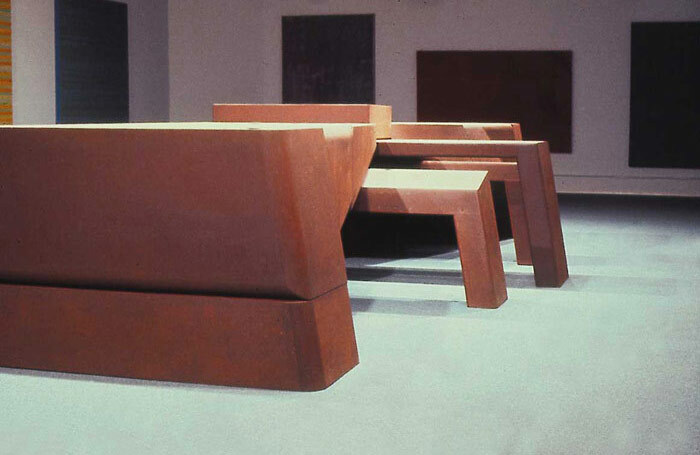 Pressure group 1 was Cogswell’s first major sculpture and was an investigation into the ability of the forms to concentrate a sense of energy into a space between two wedges, the viewer’s perception of the pressure created between the two wedges, and of the ability of stationary forms to suggestion movement toward one and other.